Home › Contests › St Dennis receive top grade for essay! On Sunday, St Dennis Band competed in the first section at the annual area contest held at the Riviera Centre in Torquay. This year’s set test piece was “Essay” by Edward Gregson which was first commissioned in 1971 for the Championship section at the Albert Hall London. The judges commented how 45 years on from that time, the testpiece is still an extremely difficult test for the Brass Bands of today. Following the band’s normal trend of early draws at this contest, St Dennis were drawn to play the dreaded no 1 on Sunday afternoon, but the band were full of spirit and determination which in turn led to them setting a benchmark performance which on the day proved difficult to beat. There were many fine solo contributions throughout the performance, in particular Andrew Hammett (Trombone) and Emma Arnold (Principal Cornet) who played the leading solos in the 2nd movement “Soliloquy” with such fine style and panache. The Band were awarded first prize and also qualified for a place at the National Finals which will be held in Cheltenham in September. 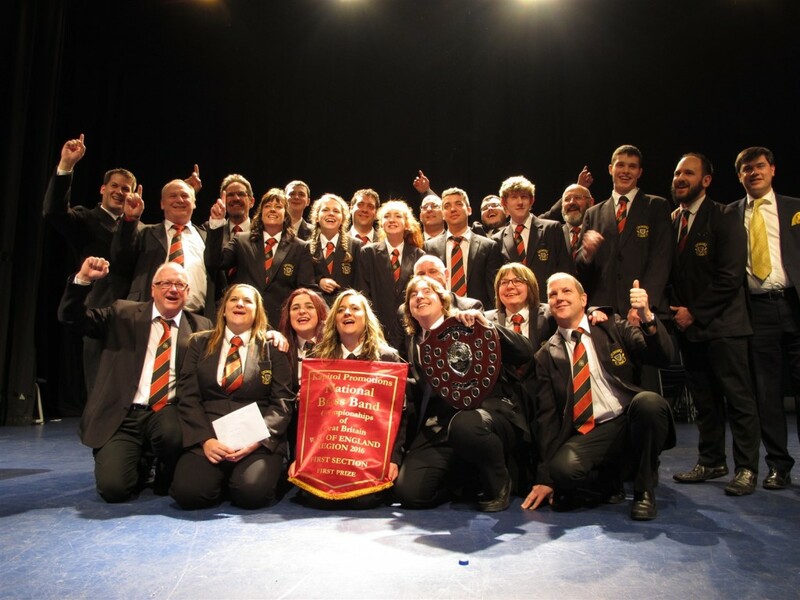 St Dennis Band are the only Cornish Band to qualify for the 2016 National Finals. We will be joined this year by Brunel Brass (Swindon) who took the runners-up spot in the First Section. 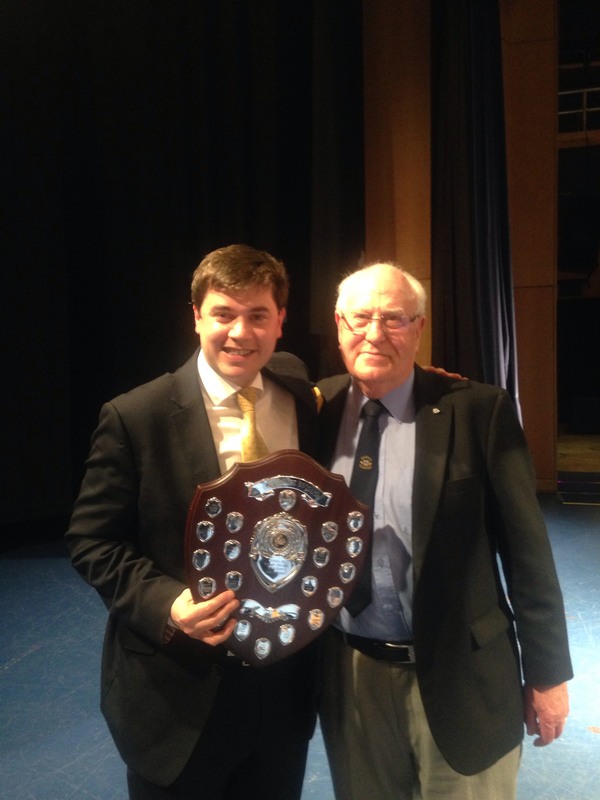 For the band’s E-Flat bass player Peter Bazeley, Sunday’s win was the icing on the cake as it meant he has now won every section (4th to Championship) at the area contest with St Dennis Band. This is a remarkable achievement for such a great bandsman. Following the results, adjudicator Alan Fernie congratulated the band on stage and expressed that in terms of the old style points system, this performance could have easily been awarded a 10 point clear win. Thanks must go to Darren for the huge amount of effort that he puts in each week and also to Philip Harper who led an enjoyable weekend workshop on the test piece at the end of February. The band are now looking forward to starting to work on the test piece for the Blackpool Spring Festival in May where they will compete in the middle tier for the Senior Cup. The test piece is Phillip Sparke’s “Music for Battle Creek”.